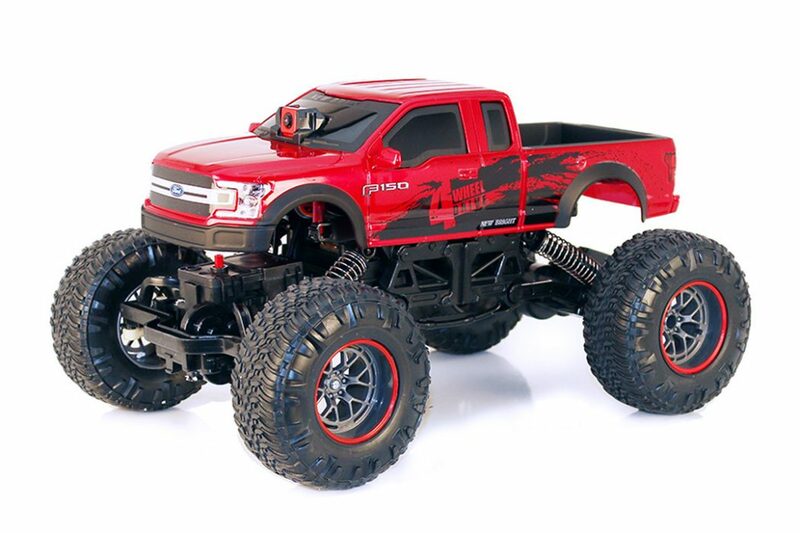 RC 4x4 Race Cam F-150 | New Bright Industrial Co.
Get ready to jump in the driver’s seat with New Bright’s all-new radio control Race Cam driving experience, featuring the Ford F-150 Truck! With a quick visit to your iOS/Android store to download the free Race Cam app, you’ll directly connect to your Truck Wi-Fi signal by following the in-app instructions. Then place your smart device* into the included transmitter holster, or included Virtual Reality goggles and you’re ready to roll. 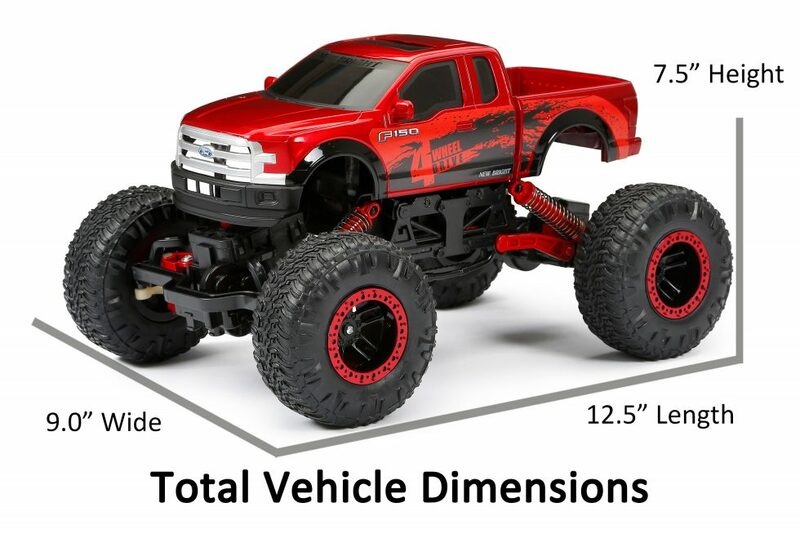 This Ford F-150 Truck features go far beyond its awesome scale details and first-person view by incorporating full function radio control, 4-wheel drive extreme flex chassis with spring suspension, 2.4 GHz Technology, and a powerful 9.6 Volt rechargeable Lithium Ion battery. 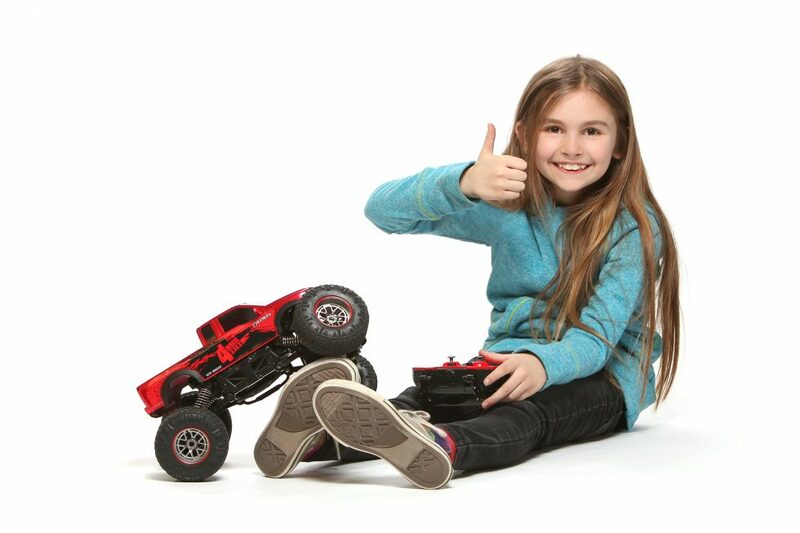 With 3 ways to play, you’ll be blasting down trails and blazing your own paths in no time! In-app experience features dashboard overlay, photo/video streaming, capture and playback capabilities. 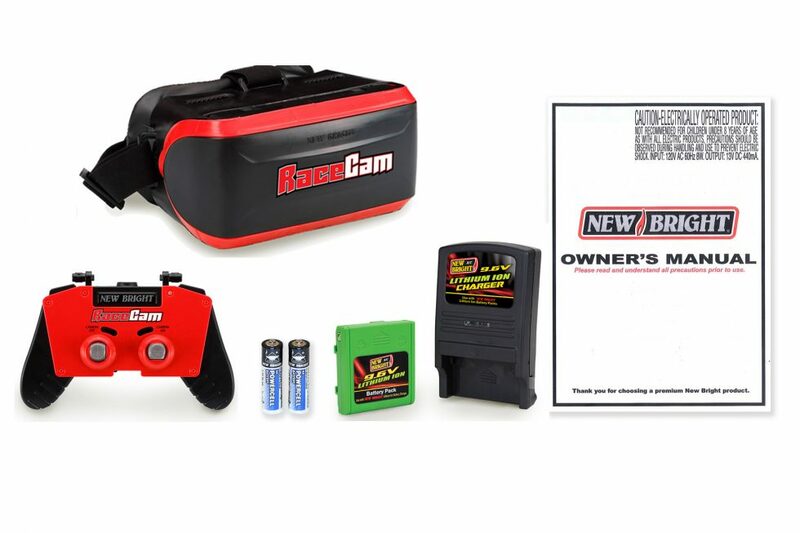 Dash Cam arrives ready to run, all batteries included.